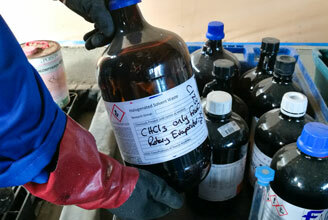 JBL Environmental Ltd specialises in the handling and disposal of hazardous waste. We offer a service to safely deal with hazardous waste from numerous clients originating from both commercial and residential sectors. 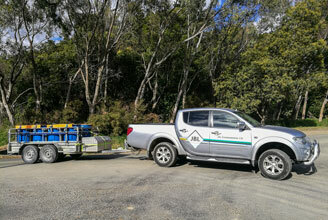 Located at the top of the South Island, we pick up and receive all forms of hazardous waste, where the material is made safe and processed for recycling or disposal at certified treatment plants across NZ, or overseas. From site assessments, removal, recycling, and disposal of hazardous waste, to waste analysis studies, training and many other projects, JBL Environmental has completed a range of work for many different clients. Above all we try to share the knowledge we have gained from our many years of experience to increase the awareness on the presence and disposal of chemicals within industry and the home. Our aim is to work closely with you to provide a personalised solution to any hazardous waste problem. Where we cannot directly help, we re-search to find the best outcome, and utilise our strong contacts within the industry to get you the service you need.